As I mentioned previously, my main area of focus on FrontPage is features that help users build applications for SharePoint. 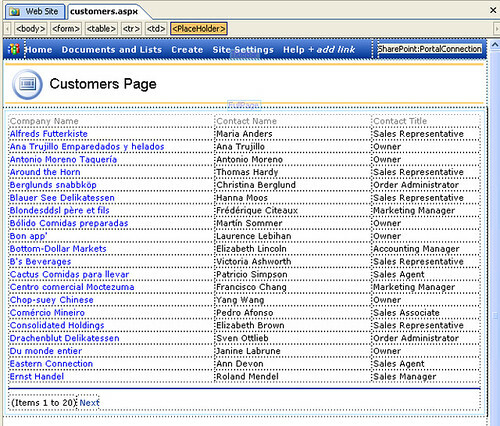 The cornerstone of our app creation experience in FP 2003 is a little thing we call the ‘Data View’ web part. You can think of the Data View as a Swiss army knife for creating data driven web pages, i.e. web pages with a ‘view’ of some stored data. The Data View allows you, without writing any code, to create views against nearly any data source - it supports SQL, xml files, web services and of course, SharePoint list data. One of the great things about the Data View is that the editing experience is completely wysiwyg, e.g. 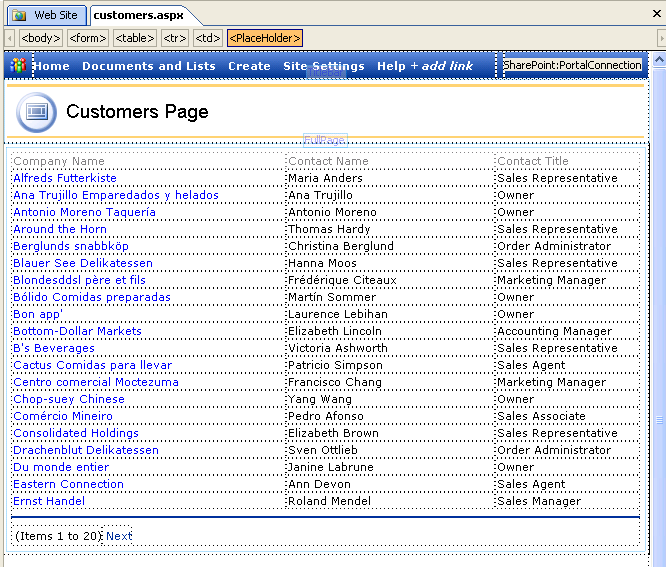 I was able to format the 'Company Name' column blue just by selecting the cell and pressing the Font Color dropdown. There is tons more to the Data View - much of this blog (at least initially) will focus on its cool ins and outs. Next up, I'll run you through how I created the above view.